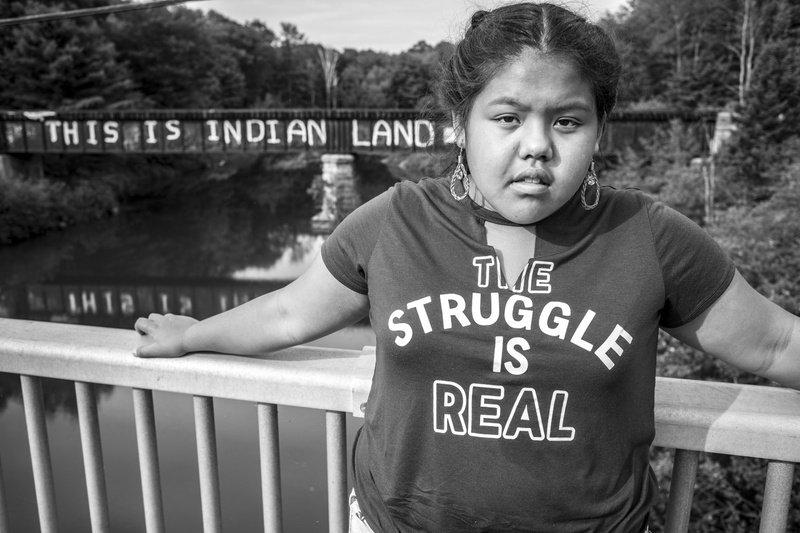 Stan Williams’ ongoing series, This Is Indian Land, highlights the front-line struggles for Indigenous self-determination throughout Turtle Island. This exhibition explores the tireless work of communities who are upholding their way of life, their cultures, and their lands against the forces of colonization. 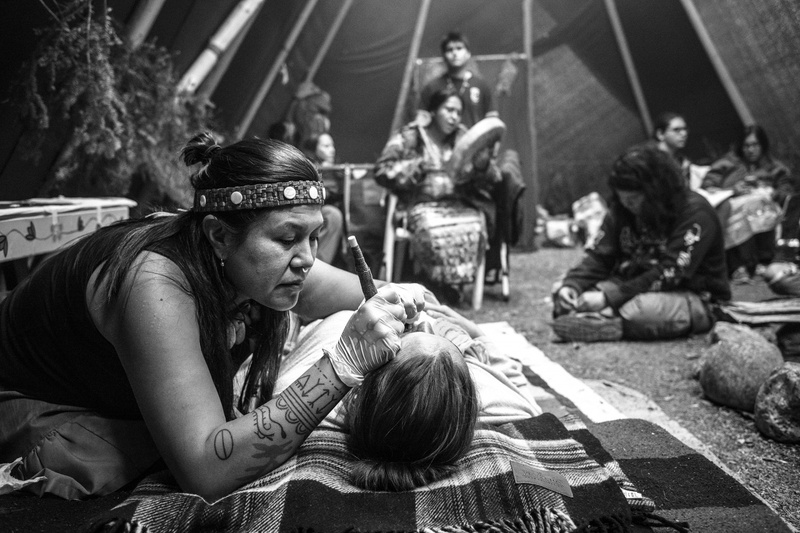 In what is known as Canada today, the ongoing impact of colonization has led to the marginalization of Indigenous ways of life. This root cause underlies disproportionate levels of child apprehensions, youth suicide, missing and murdered Indigenous women and girls, loss of languages, poverty, and the dispossession and degradation of lands and waters. 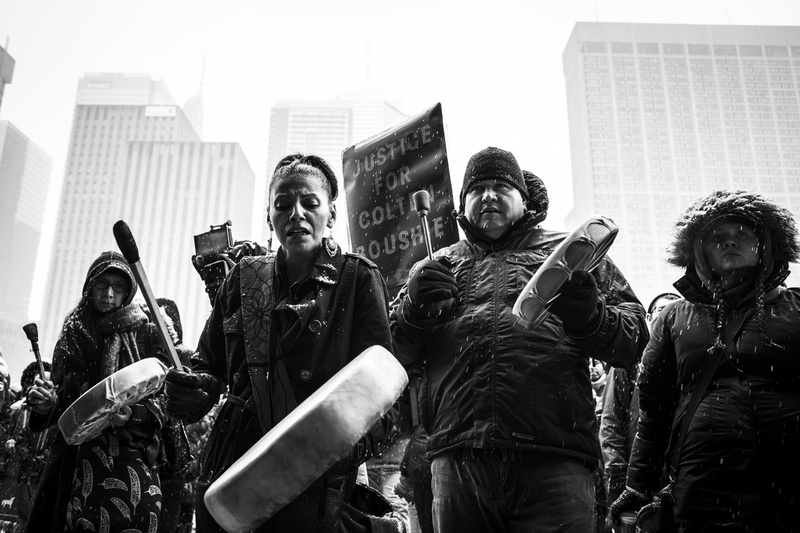 A Mohawk and Anishinaabe photographer, Williams works to raise the voices of his community through his documentary images, inspiring change by portraying those who are reclaiming and reaffirming their rights through marches and protests. 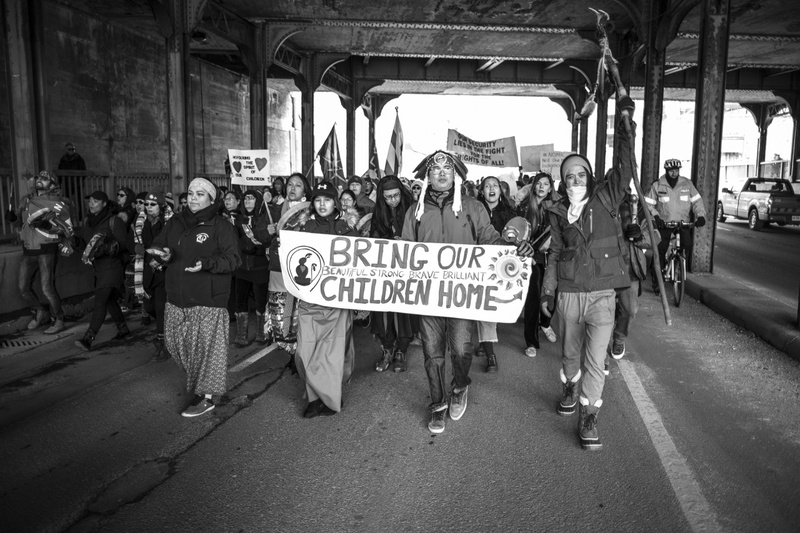 This Is Indian Land challenges individuals with colonial privilege to uphold their responsibilities of recognizing and respecting the laws of Indigenous peoples, whose lands they prosper and live upon.